Getting your kids to tidy up after themselves is no easy task at any age. It’s even more difficult when kids are younger since they often don’t even know where to put their toys. You can develop a storage system for older kids but when a child can’t yet read, a labeling system will not help organize her toys. If she doesn’t know where to put a toy then it will be difficult to keep organized. 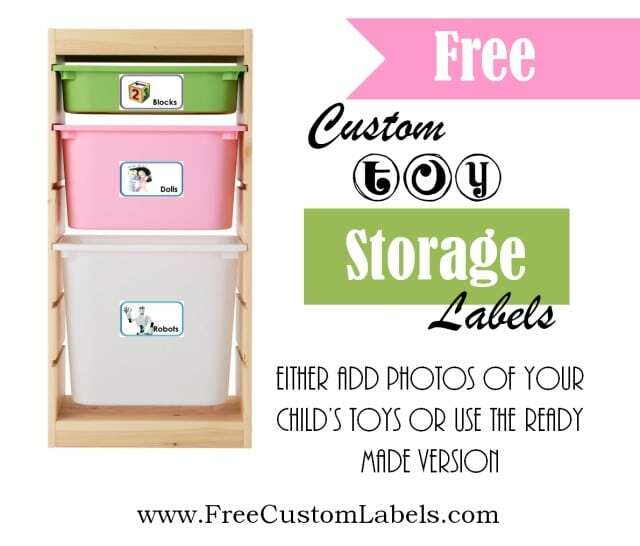 We have created the perfect custom toy bin labels for children who can’t read. There is a picture of the object that belongs in each toy bin or drawer so that even if your child can’t read he will still know where to store the toy. 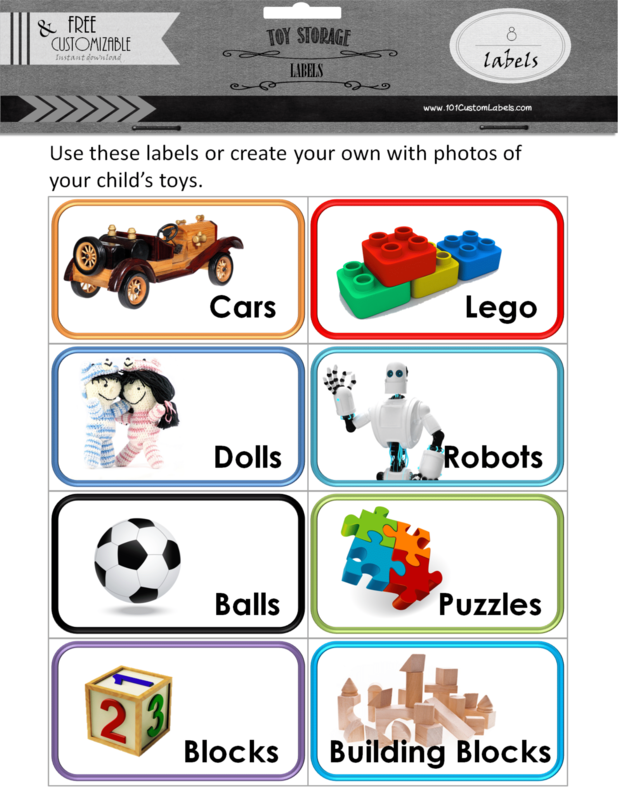 The toy labels above have pictures to store basic items such as cars and building blocks but you can use our label maker create your own custom labels with pictures of your child’s toys. You are free to use these printable labels at home, in kindergarten or play school. In order to ensure that this organization system works for your child, we suggest that you start by organizing all of your child’s toys to ensure that each toy has a specific place. Once you know where everything goes make a list of labels that you will require. If you want to use a photo of your child’s toys then take a photo of each toy or each group of toys. For example, you can take a photo of one superhero or of a bunch of superheroes together. Open the label maker and upload your photos. If you can’t be bothered to take photos of your child’s toys then just use our ready-made printable labels. Print out a sheet of labels on regular computer paper (adhere with paper glue) or use label paper. Adhere to toy bins or drawers. Should you expect your kids to tidy their toys when they are very young? Absolutely, yes! When kids are very young they start forming habits. If kids get used to their mom or dad tidying up after them then it is going to be difficult to change that habit in the future. If you teach your child to take out one toy at a time only and return it before moving on to the next toy then you will save yourself hours of nagging, yelling and tidying in the future. Hopefully, these labels will make the job a little easier and save you a lot of time in the long run!